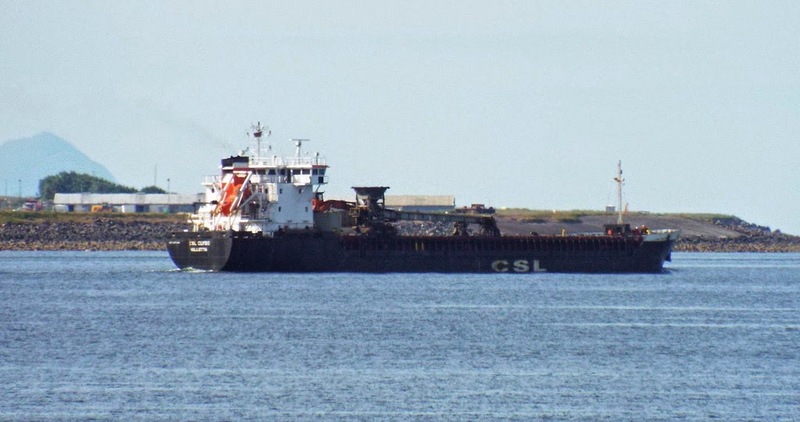 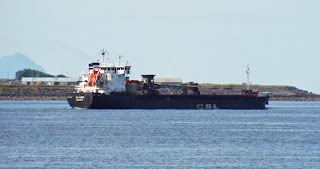 Coaster CSL Clyde outbound for Liverpool Bar 18 June 2014. 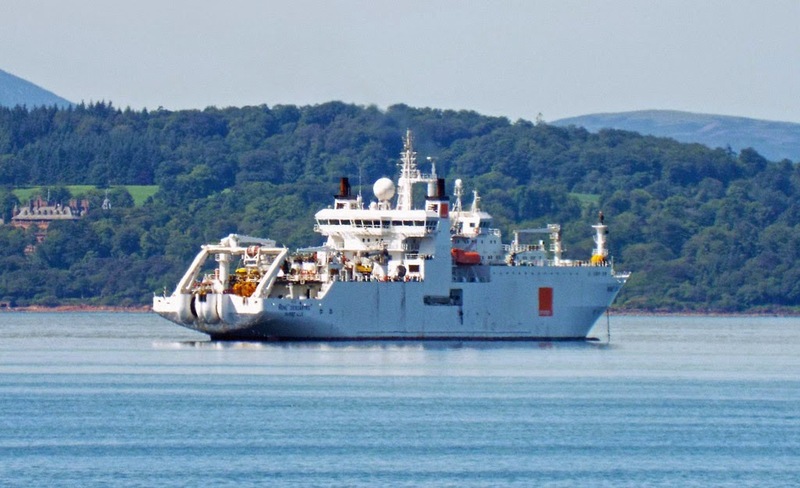 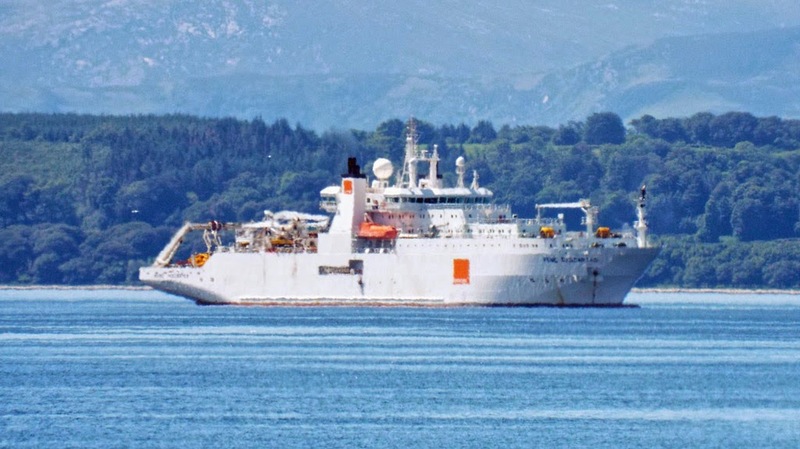 Contrary to early information, Rene Descartes assists with the repair of the submarine telephone cable between the mainland and Cumbrae 19 June 2014. Briggs Marine's Cameron outbound 18 June 2014. Coaster Aasvik heads upriver 18 June 2014. 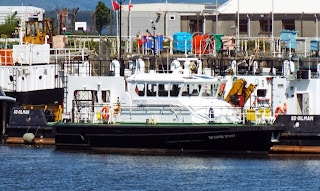 Admiralty pilot cutter SD Clyde Spirit in Great Harbour 18 June 2014. 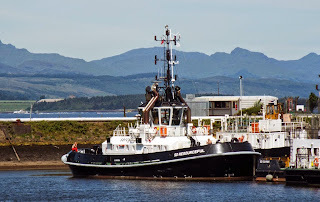 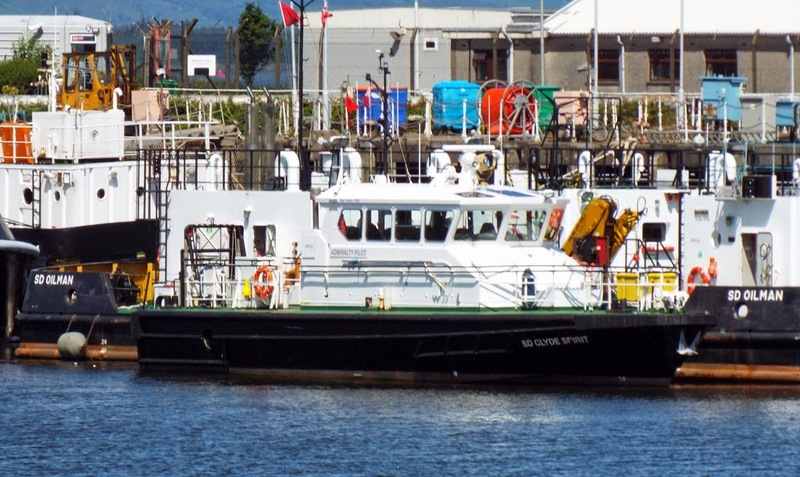 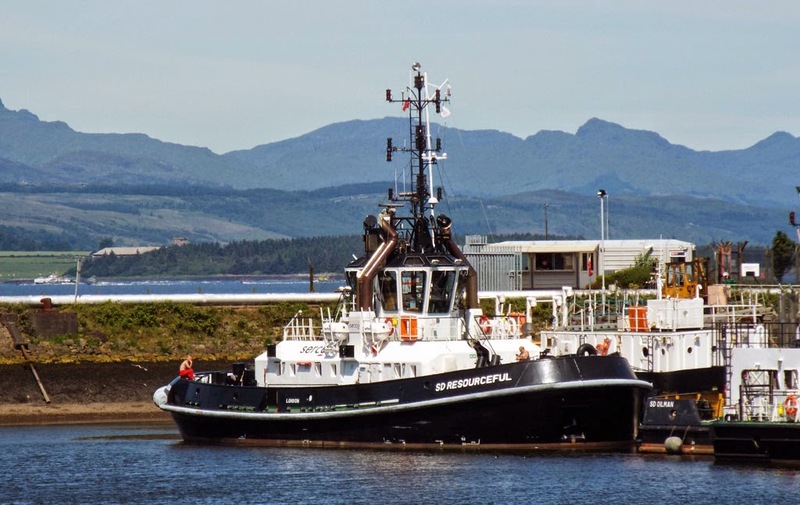 Serco tug SD Resourceful in Great Harbour 18 June 2014. 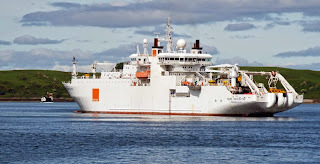 SEPA's research vessel Sir John Murray heads upriver 17 June 2014. 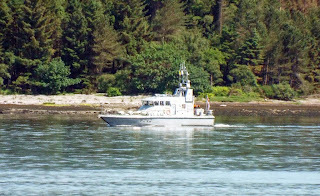 "Archer" Class Patrol vessel HMS Charger (P292), attached to the Liverpool University Royal Naval Unit, exercising on 16 June 2014. 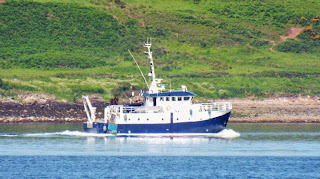 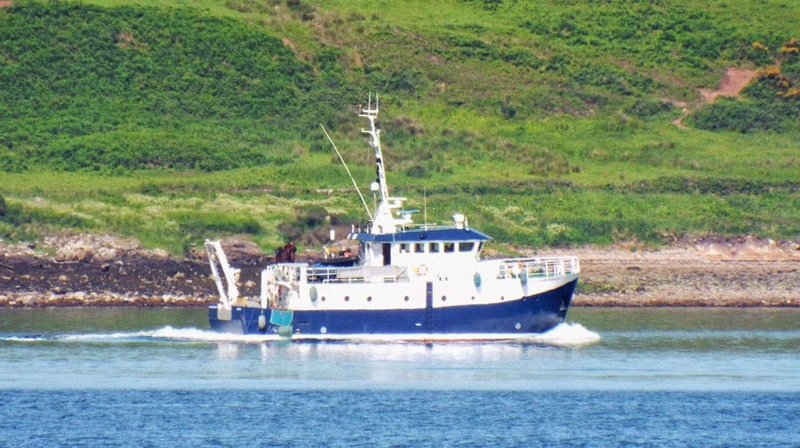 Western Ferries' Sound of Soay waits as Sound of Shuna leaves McInroy's Point 16 June 2014. 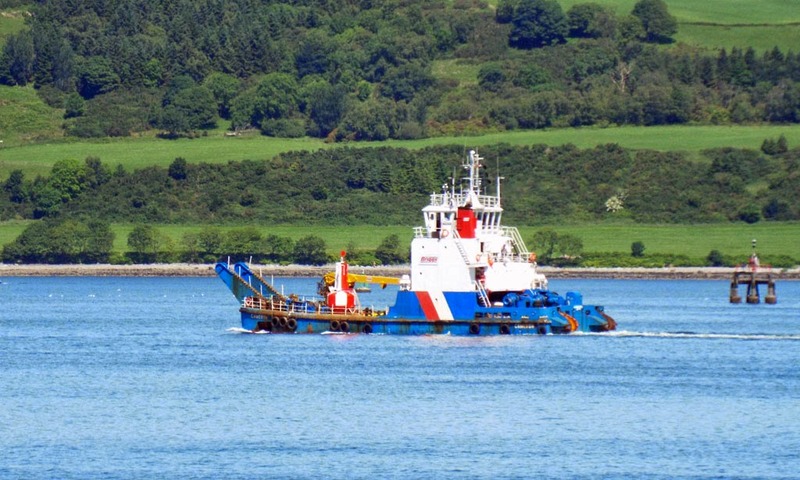 A well laden MCS Ailsa inbound for Greenock (SD Oronsay outbound behind) 16 June 2014. 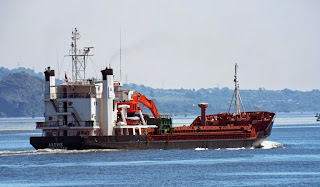 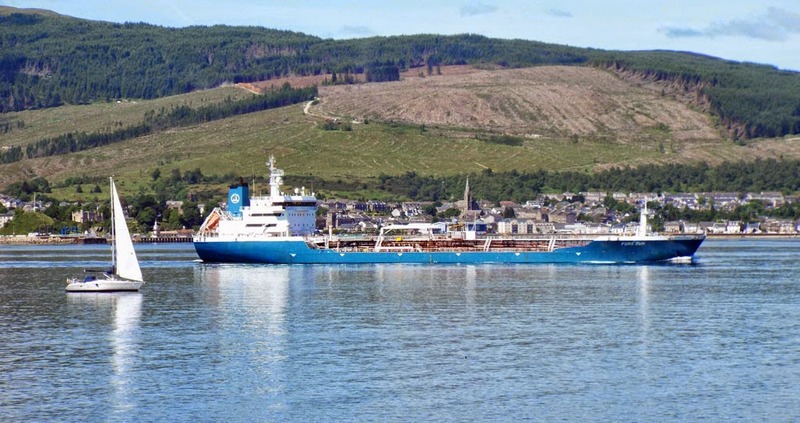 Tanker Fure Sun inbound for Glasgow 16 June 2014. 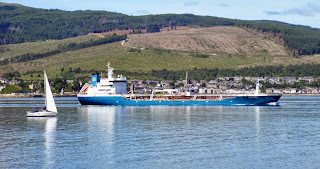 Tanker Pecos outbound for Irvine Bay from Finnart 16 June 2014. 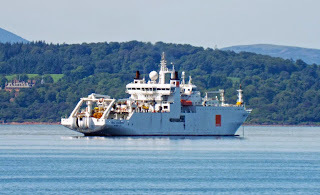 French cable layer Rene Descartes waits to head upriver 16 June 2014.